Woodrow: Alright here we go…wait, what if it blows up or something? Aiden: Then we’re gonna be on fire. It is interesting to take in an indie film such as this. On the one hand, it is a dream for lovelorn mechanical engineers, as the film is a love story or sorts and was literally made with homemade cameras and revolves around a car customized and built for this film. On the other hand, it takes a lot of the goodwill setup very well in the first half and descends into bleakness that may put off a lot of people. It is admirable to see all of the work from first time filmmaker Evan Glodell that went into this picture, but the massive tonal shifts and experimental filmmaking are sure to alienate some viewers. Regardless, one thing is for sure – the car they built for this film is pretty freaking awesome. So this movie is about two guys, a girl, and a flamethrower. Seriously, the plot of this film revolves around two best friends with aspirations of building the perfect car (equipped with all sorts of weapons and gadgets, including a flamethrower) to help them survive the impending apocalypse that will take over the earth someday. Of course, until then, these two guys, Woodrow and Aiden (Evan Glodell and Tyler Dawson), spend their days living as hip slackers of sorts who either work on building their car (Medusa) or checking out the scene in their hometown of Ventura, CA. Things quickly get complicated once Woodrow meets and almost instantly falls in love with the very affable Milly (Jessie Wiseman). As this relationship grows, Woodrow’s focus gets shifted into a different gear, heading down the familiar path of a loving relationship, which only inevitably leads to heartbreak. Without going into too much detail, a dark cloud descends over these characters in the later parts of this film, leading to a new apocalyptic journey of sorts, which may only be solved by the prospect of completing and riding off in Medusa. To go a bit technical for a second, this film has an incredibly unique look to it, due to the fact that it was filmed with a camera that consisted of combined vintage camera parts built around a Silicon Imaging SI-2K Mini Digital Cinema camera. Due to this, the film has a distinctive look that is somewhat saturated and constantly showing off little exaggerated visual details. 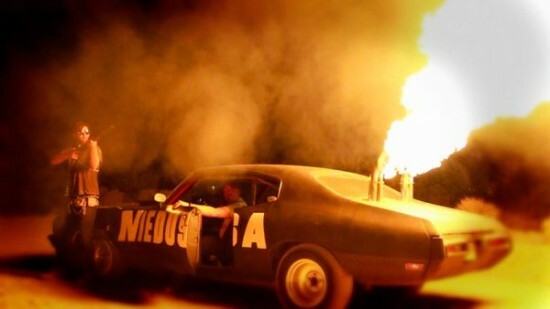 As for the car, Medusa features two flamethrowers, smoke screen, a bleach drift-kit, adjustable rear suspension, and 3 surveillance cameras; all controlled from the dashboard. It also has a roll cage and stow-able, fold-down back seat. This car was fully functional and is badass every time it makes its presence known in the film. As far as the story goes, I really wish I could have appreciated it more. If only it stuck with less genre-splices, as opposed to going as crazy as it does towards the end. I understand exactly what the film was trying to achieve, but there is so much likable qualities afforded to these characters in the first half of the film that the extent of the drama seen as the film carries forward really made it a tougher watch as it went along. 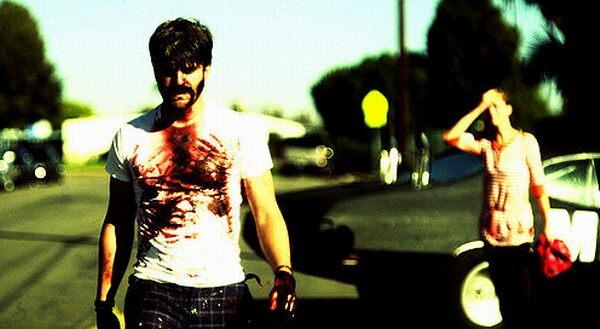 Even as the film dived into hipster culture throughout its first half, I was really enjoying the relationships seen in the film and how both the romance and the two guys’ love for their car and the apocalyptic prospects awaiting them were playing out (it should be noted that Woodrow and Aiden were heavily inspired by Lord Humungus from The Road Warrior). Once the film delves into areas of despair, which has a mix of real and fantastical sequences, the film becomes unsettling in ways, although not unwatchable, just nearly too dark for its own good. Still, I did appreciate a lot about the film, which includes the above described technical aspects, but also the actors involved. For a cast consisting of mostly newcomers to film, I was a fan of all of the performances here. The chemistry between everyone felt very natural in a mumblecore sort of way, even though I know that the film did not rely heavily on improv. 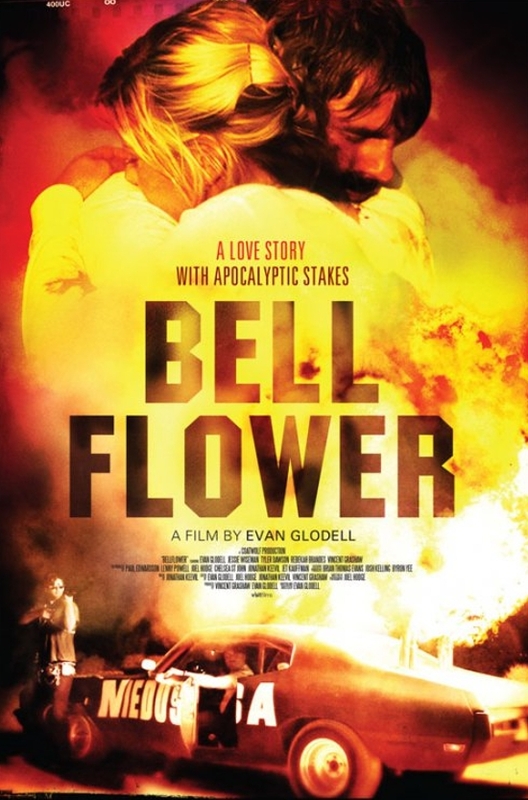 So much credit goes to Glodell, who served as writer/director/editor and star of the film and I am certainly looking forward to seeing what he has in store for future film projects, especially if he can continue to create films with such a unique visual sense. I feel like my reaction has been sort of mixed about this film, but the best thing I can say about my reaction is that having seen the film twice, I continue to be intrigued by it and look forward to checking it out again at some point, which will probably lead to me raising the film’s rating in my mind. 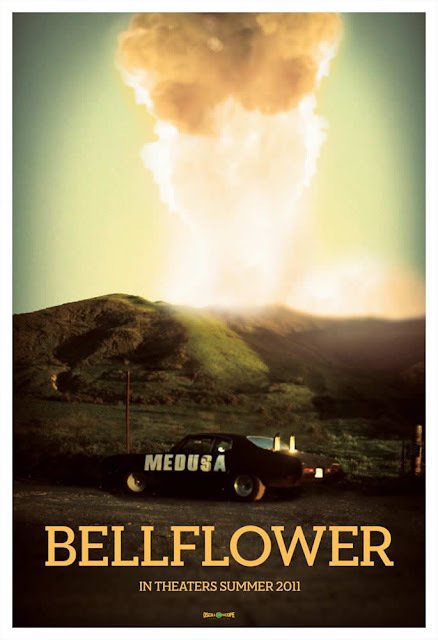 So few films tend to have a lasting effect and I can greatly appreciate it when an original film like Bellflower does enough to have my mind remain intrigued by what came out of it. This is a homemade product worth checking out, complete with a bleak love story, a visual style all its own, and a badass car. Milly: You don’t want me to be your girlfriend. Woodrow: Well how do you know I won’t end up hurting you?